A team of U-M researchers is launching a new study to better understand autoimmune skin diseases and why some people respond better than others to treatment. Brighton Center for Specialty Care Now open! The Department of Dermatology provides general and specialized dermatologic medicine, and melanoma/skin cancer surgery at the Brighton Center for Specialty Care. The University of Michigan's Department of Dermatology is a nationally recognized leader in dermatological patient care, education and research. We are dedicated to improving healthcare for our patients, to advancing dermatological science and to training future leaders in dermatological medicine and science. We provide outstanding, patient-centered care for disorders affecting the skin, hair, and nails. Our physicians and scientists are at the forefront of dermatology treatments and research, leading scientific discovery and advancing new therapies. The expertise of our faculty and the diversity of our interdisciplinary programs supply a remarkable, collaborative environment for patient care, learning and innovation. 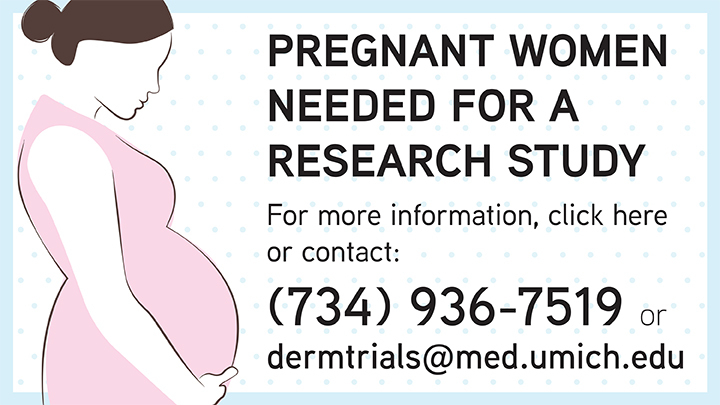 Dermatology is Making A Difference at Michigan Medicine! We're grateful to our remarkable physicians and staff, who do their best to make a difference in the lives of others. A team of U-M researchers is launching a new study to better understand autoimmune skin diseases and why some people respond better than others to treatment. In the process, they aim to derive new knowledge about the immune response that could lead to more targeted, personalized therapies for a wider array of disorders.